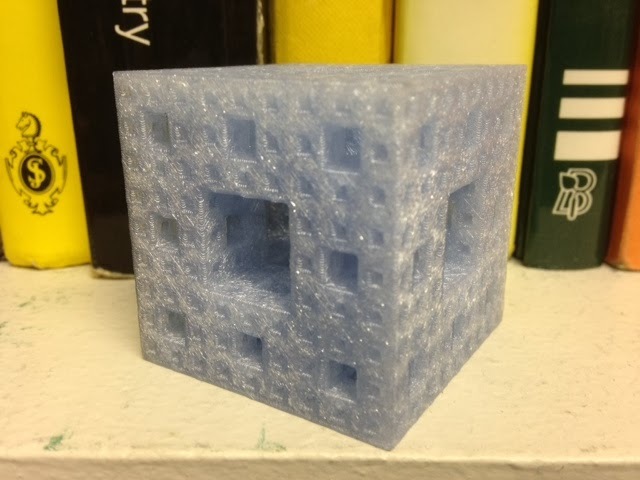 Day 161 - Level 3 Menger cube on a filament printer! Thank you, owens at Thingiverse! You have made the impossible possible. It was great fun walking this print around the math department today, since everyone there knows just how difficult it is to print this object on a filament-deposition machine. 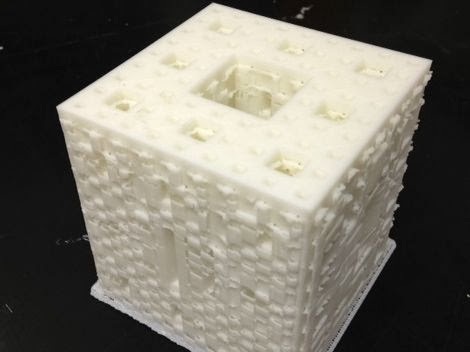 But don't think about that, because now we can print Menger cubes all day long with no worries and no support. Settings: MakerWare .2mm/standard in about six and a half hours.